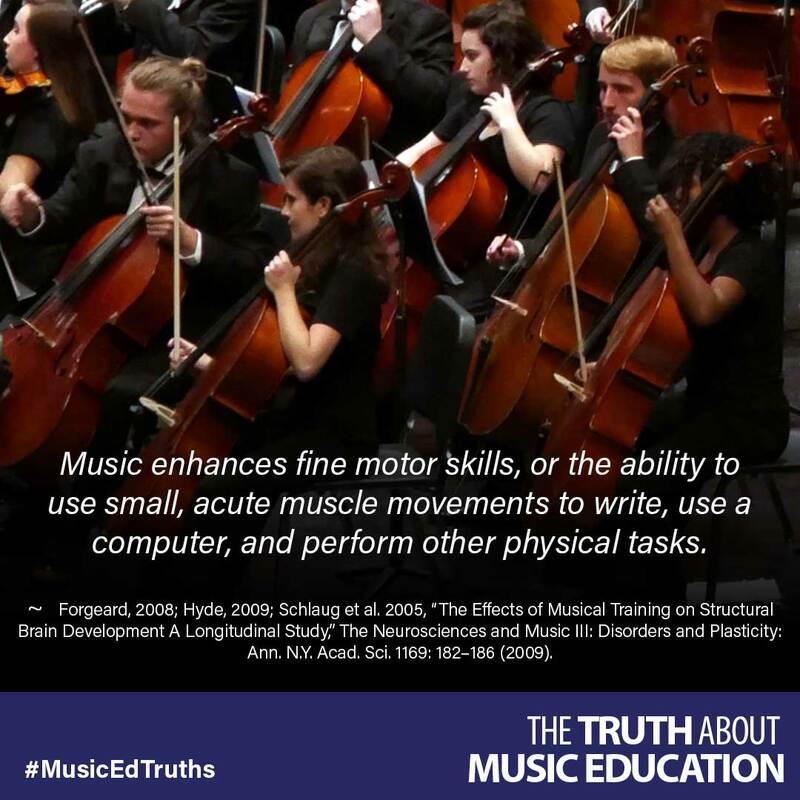 Music enhances fine motor skills, or the ability to use small, acute muscle movements to write, use a computer, and perform other physical tasks. Brain Development A Longitudinal Study,” The Neurosciences and Music III: Disorders and Plasticity: Ann. N.Y. Acad. Sci. 1169: 182–186 (2009).